Your taskbar can be one of the most efficient tools on your PC. Between the search bar, pinned apps, and icons accessible near your clock — you can make your Windows 10 taskbar fully customizable. 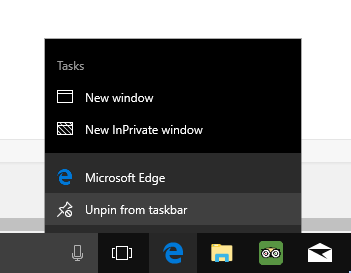 To pin an app to the taskbar, you will need to find the app you want to pin either in the Start menu or on your desktop. Then right-click. 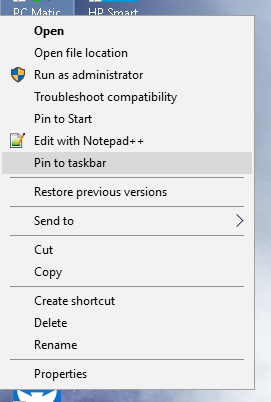 From there select “Pin to taskbar”, as seen here. From there, you will need to scroll down, until you see “Select which icons appear on the taskbar”. 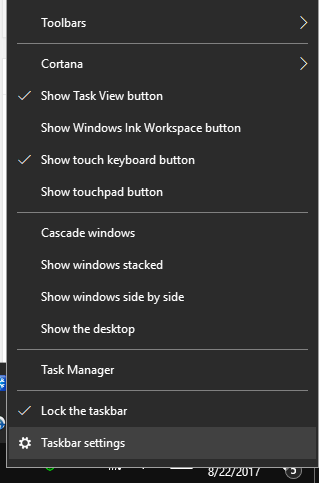 Click “Select which icons appear on the taskbar”. From there you can add or remove icons, by sliding the dot from on to off, and vice versa. If you have any suggestions for new tips and tricks — drop a comment below! 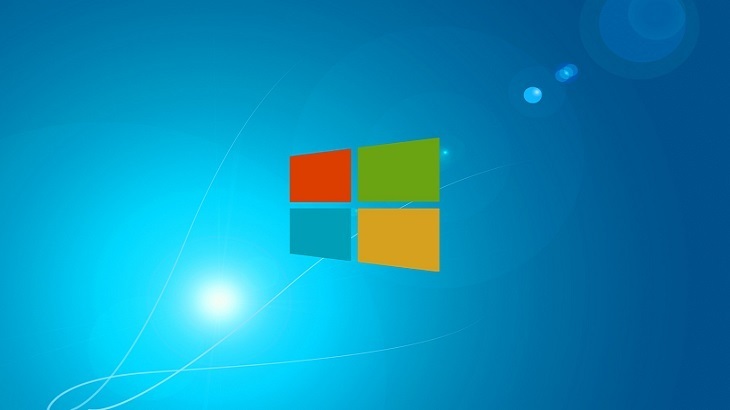 The Pit Blog, tips how to, personalization, task bar, windows 10. permalink. I like to keep my taskbar plain and simple. I got my browser, the file manager, the MS Word, and the sound volume.